The Bassmaster Classic has no entry fee, but Virginia pro Jacob Powroznik spent $395 to improve his chances at its $300,000 first place prize. No, “J-Proz” didn’t spend it on fishing tackle; he spent it trying to stay warm. A nearly frozen wet precipitation was falling in the Bassmaster Classic boat yard as Powroznik unpacked from a shopping trip to a local outdoor retailer. His nearly four-hundred-dollar haul included a portable propane heater, wool neck gaiter, wool socks, three pairs of gloves, a pile of peel n’ stick body warmers, and six bottles of propane for assurance that he won’t run out. 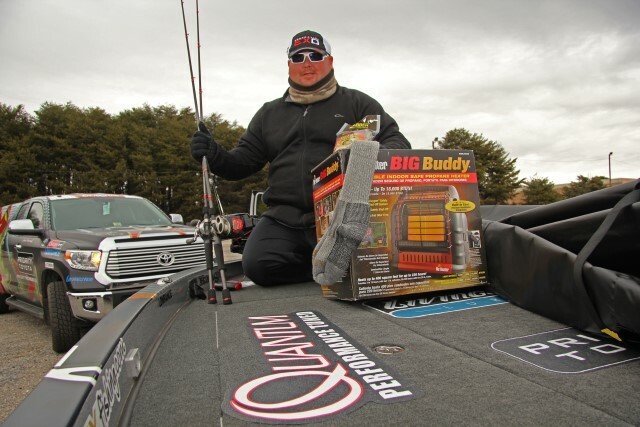 “The heater buddy alone was $154, but I figure it’ll be well worth it, not just in the tournament, but out here working on tackle in the boat yard too,” said Powroznik. If meteorologists are right, Powroznik is going to need all the propane he can get. 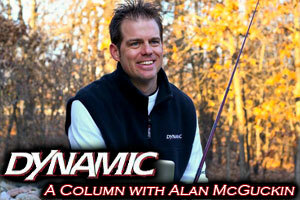 This will likely be the coldest Bassmaster Classic in history. Forecasted sunrise temperatures for Day One of competition on Friday are for around 10 degrees, and the high temp on Friday is supposed to be well … freezing … 32 degrees. While weather will be as much the headline as the fishing this week, Powroznik doesn’t seem fazed by it. “I duck hunt 60 days each winter around the Rappahannock River in Virginia, so I’m extremely used to cold weather,” said the burly 5’ 10”, 279-pound, Bassmaster Rookie of the Year. “The key is to keep your hands warm, and your neck warm, and that neck gaiter is a really key deal,” he added. “I think the thing that worries me most about this Classic is not the weather, but instead, somebody randomly finding the mother load school of potentially winning fish,” said Powroznik, citing that on reservoirs like Hartwell, where blue back herring are the predominant baitfish, that unpredictable feeding and schooling occurs. As far as lures he thinks will dominate this cold weather derby, the man who is built like a fullback or pulling guard is thinking football. “I’m not saying it’s going to be the winning lure, but if I had to pick three or four lures that nearly everybody in this tournament will have tied on, I’d say a football jig, a football jig, a football jig, and a football jig,” joked Powroznik, who actually had one Quantum EXO reel rigged with a vertical jigging spoon for Hartwell’s 47 degree water. 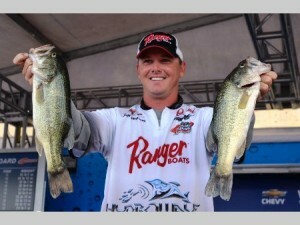 “It’s gonna keep getting colder this week, but I don’t really see that affecting these bass too much,” said Powroznik. After his $395 shopping trip Monday afternoon, J-Proz isn’t looking to be affected much either.